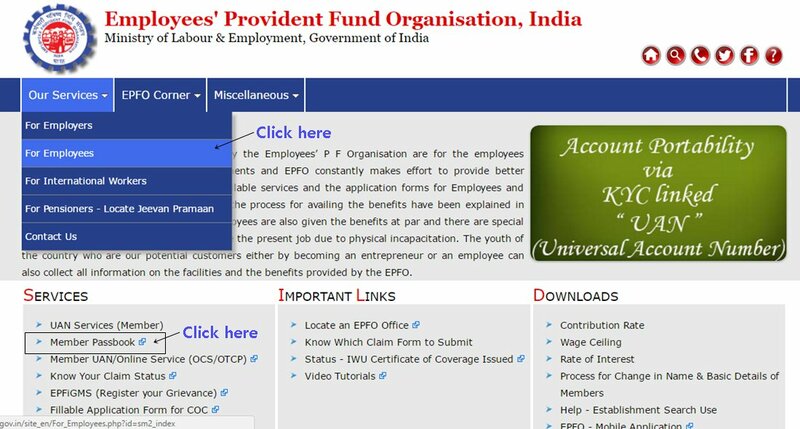 Employees need to login the member portal by visiting the EPFO website (https://unifiedportal-mem.epfindia.gov.in/memberinterface/). You need to enter your 12 digit Activated UAN number and the password to view your account details. If you have not activated your UAN, you can do it by clicking on the tab below. Once you have entered the right credentials, it takes four days to activate your UAN. To view your PF passbook, you need to visit http://www.epfindia.gov.in website. This is a different website where you can view various other details related to EPFO. You need to go to the ‘our service’ tab and under our service tab, you need to click on the ‘for employees’ link. To view the EPF contributions done by your employer every month you need to then click on the ‘member passbook’ link. The government has come up with various other benefits where they are giving special benefits to employees who had to leave their current job due to some physical incapacitation. 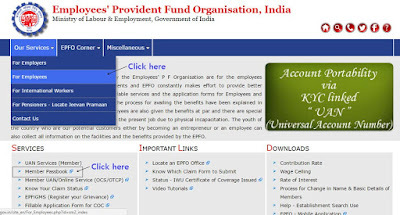 If you want visit the office, you may even locate the nearest EPFO office through this EPFO website, you can also view the eligibility for making online claims and obtain lots more service facilities through this online portal. One should also know that the accumulated amount is payable on retirement, resignation or death. You can also make partial withdrawals for financing life insurance policies, acquiring a house, wedding of self or dependents, child’s education planning or any treatment of illness etc.